Morgan Nyberg is the author of a few titles, including two novels thus far in his Raincoast Saga. Intrigued by these books being set where I live, albeit far in the future, I asked Morgan for an interview and he politely agreed. For the record, I greatly enjoyed reading both these books and think that they are the best I’ve read so far in a post-apocalyptic setting. Mary: Thanks for doing this interview. We’ll be talking about the Raincoast Saga, your post-apocalyptic series. The first two books in the series are Since Tomorrow and Birds of Passage. The third has yet to be published. The setting is futuristic Vancouver, British Columbia. It seems like you’ve lived in many areas: Sultanate of Oman, Ecuador, Portugal, the Pacific Northwest. What led you to travel around so much? Morgan: I started teaching ESL when the Vietnamese “boat people” began arriving in Vancouver in the late ’70s. After that I found that it was easier to find work teaching English outside of Canada. Mary: The Raincoast Saga is set in British Columbia save for a small part in Dubai. What inspired you to write about this area? Just a note: As a Vancouver resident, to me, much of the location was unrecognizable, except at one point in the first book, Since Tomorrow, I could envision the Fraser River from a dilapidated bridge. Morgan: I had written a novel set in South America (El Dorado Shuffle) and one set mainly in Portugal (Mr. Millennium). I thought it was time to write about my home turf (a minha terra as they say in Portuguese), from which, except for summer visits, I had been absent for so long. The Fraser River (nameless in the story) has become a barrier between the relative civilization and benevolent atmosphere of Frost’s farm at the south end of Frost’s Bridge (today’s Oak Street Bridge) and the horrors of Town just north of the river. Through a kind of nostalgia for the “Good Times” the young men of the story have been given the names of old streets and districts: Granville, Oak, Pender, Steveston, etc. The young women have been given names from nature: Fire, Snow, Willow, etc. Birds of Passage, Volume 2 of The Raincoast Saga, is set mainly north of Town in the coastal mountains of British Columbia. Volume 3, Medicine (which I am working on now), plunges deep into the darkness and endless dangers of Town. Mary: I noticed that about your character names and thought it was clever. Your descriptions of characters and places are some of the best I’ve read in this genre. The portrayals are naked, bleak, Ballardian. I wondered when reading your books: which authors inspired you as you were growing up? Morgan: In my late teens I was happily exposed to the short stories of writers such as Conrad Aiken, D.H. Lawrence, E.M. Forster and A.E. Coppard. 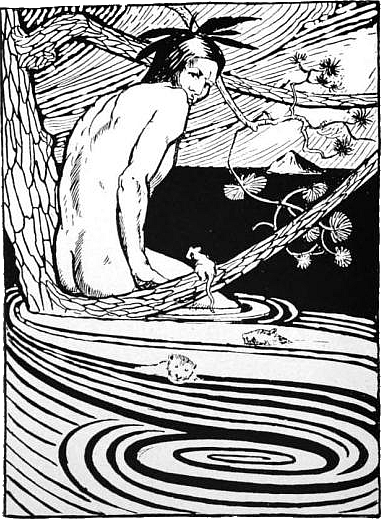 As far as my reading since then, let me tip my hat to Homer, Shakespeare, Thomas Hardy, Joseph Conrad, Kipling, Hemingway, Faulkner, William Burroughs and the experimentalists of the 1970s, Canada’s Leon Rooke and Malcolm Lowry, J.P. Donleavy, Philip Roth, Russell Hoban of Riddley Walker, and, yes, J.G. Ballard, and later Don DeLillo, Cormac McCarthy, and the deceptively conservative Marilynne Robinson. Mary: When planning this series, did you have a main idea about what would cause the collapse for this world you create? Did you imagine climate change as the key tipping point? Do you think climate change fiction is a good way to categorize yours and other books like it? Or was there something else, something more aggregate going on? Morgan: I imagined climate change to be one of the causes of the collapse inasmuch as climate change feeds a self-destructive economic process based on greed that, combined with a global pandemic, finally brings everything down. In my mind the major causes of the collapse are overpopulation, the rampant depletion of natural resources and the destruction of ecosystems, and the production of waste, e.g. CO2, beyond what the planet can safely carry. The more marked effects of climate change, e.g. the disappearance of fish from the river, happen after the collapse. 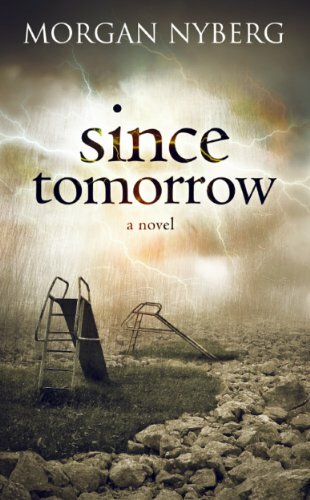 When I wrote Since Tomorrow I did not know that post-apocalyptic was a literary genre. I was simply writing a story set in a world that seemed to be a plausible projection of today’s trends, i.e. what is waiting for us at the end of the primrose path. It scared the hell out of me and still does. Mary: Having read a lot of novels wherein something has caused a collapse in economic systems (and ecological ones), I’ve seen all sorts of aftermaths play out. In some cases there is a dystopian sort of central governance. In others, characters are on their own and trying to adapt and survive and work together to do so. Your novel seems credible and likely: community/familial groups form and do what they can. There are a couple main leaders in Since Tomorrow: one is good and focused on survival and helping others. The other is akin to an evil overlord drug type taking advantage of others. I don’t think we could argue against good vs. evil being a major element of any future society since it is and has been a major theme in past and present societies. But I think that in many futuristic ideologies there is almost a romantic notion that by then we will have learned from past mistakes and all work together to create some sort of more utopian society. Your book definitely seems more realistic and almost brutally raw. Can you comment on how you decided to form this post-collapse continuance of good vs. evil? Morgan: Beyond what Frost and a few others are attempting to do as individuals, there is no possibility of larger social action. Everything we think of as civilized is gone. There is no government, no education, no medicine, no law, no modern technology. People live by subsistence agriculture, by bartering and by scavenging. In such a future, in every possible future, as has been the case in every epoch of the past, both good and evil will thrive. There is no reason for what started in the Garden of Eden to change simply because circumstances change. 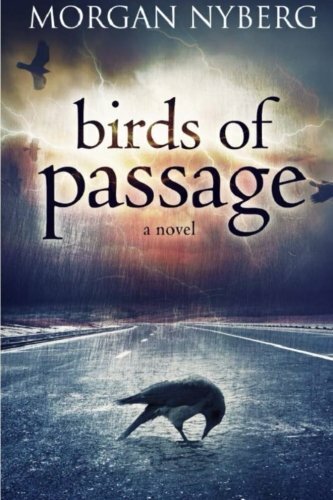 Mary: Birds of Passage, the second book in the series, takes place 20 years after Since Tomorrow (is this correct?). This story is also very somber while society continues to degenerate. The realistic descriptions continue. It seems that wildlife is taking over even more so than in Since Tomorrow. This setting made me think of a lot of what-ifs. Do you think that in the future, with such breakdown in societies, that humankind will try less to use natural resources so greedily as we do today? Morgan: Yes, Birds of Passage is set 20 years after Since Tomorrow. If the trees are starting to grow again in Town it is not because of a change in attitude, it is simply because there are fewer people to cut them down, the population having been decimated by disease. As for the judicious use of natural resources, societies will not be able to make any communal choices (i.e. to try to coexist with nature), because the social institutions necessary to make such choices will no longer exist, and there will be no way for individuals to comprehend anything beyond their day to day experience. Mary: This isn’t your first book project. You have published a verse play, two children’s books, and other novels. Please feel free to talk about these books a little and your interest in writing them. Morgan: El Dorado Shuffle and Mr. Millennium are very different from the Raincoast novels. I built the stories around characters with colourful personal failings. These two novels will appeal to urbane readers looking for style, irony and originality. El Dorado Shuffle: Cocaine, revenge, the black laughter of Latin America. I doubt that I’ll ever be able to create a more engaging character than Mac McKnight, who is wracked by guilt, driven by reckless courage and counseled by alcohol. Mr. Millennium (ebook only): A secret society. A needy protagonist. Poor Gabor Esterhazy – they promised him power, wealth and happiness, so why does he go so determinedly off the rails? Why does his journey toward joy become a dark and comic shambles of lust, deceit and mortal danger? Galahad Schwartz and the Cockroach Army: This was my first venture into fiction (before that I had written only poetry). It won Canada’s Governor General’s Award for children’s literature in 1987. Bad Day in Gladland (ebook only): I had so much fun writing this kids’ book! In its way it is, like the Raincoast novels, post-apocalyptic, but without the bleakness. It is set in a time of strange “plagues”, such as the Plague of Daytime Darkness and the Plague of Antigravity. There is whimsy and silliness on every page, but also plenty of danger. Mary: What’s next in The Raincoast Saga? Morgan: I am working on Volume 3, Medicine, in which Fraser, the protagonist of Birds of Passage, must confront both the physical horrors of Town and the horror of the choices he has to make in order to save the few remaining residents of Frost’s farm. Mary: Thanks very much, and best of luck with Medicine and other future projects! Hey, thanks for the great interview! Sounds like a really great trilogy!